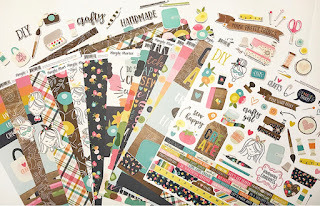 A fun place for all your scrapbooking, card-making, paper crafting & mixed-media needs! 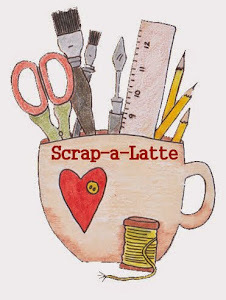 Hi Scrap-A-Latte Friends - I love Simple Stories, so it makes me downright giddy to share that Layle Koncar, Marketing Director from Simple Stories, will be coming to Scrap-A-Latte in mid-April to teach four wonderful workshops. Information about these classes are below ... and the registration is now open! Layle and I are firming up start times for the classes, but if you're thinking you'd like to take some or all of these classes, be sure to call the store as soon as possible at 631.482.9190 to register or inquire about class costs and other details. Early indicators are that these are going to be very popular classes, so don't delay! 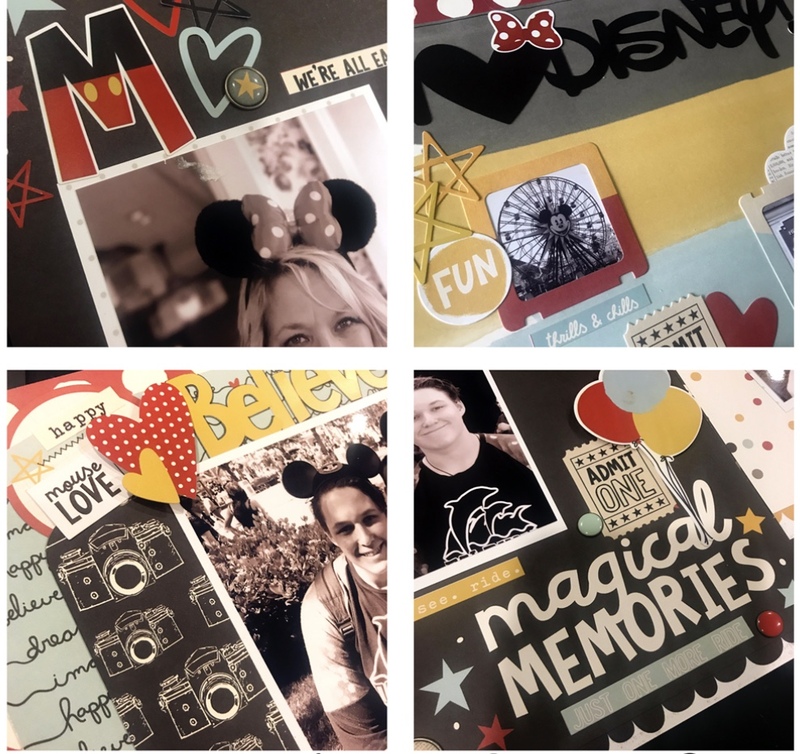 Friday, April 13 - Tell Your Story: During this Friday evening class, create a beautiful 6x8 pocket page album documenting the most important story you have to tell ... YOURS! 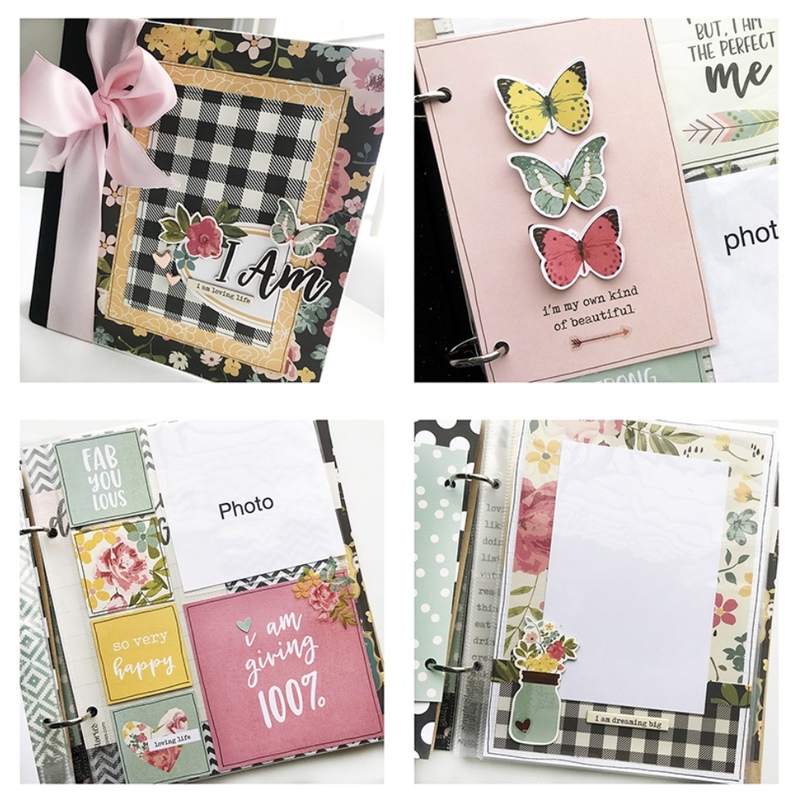 You'll use an assortment of products from the Simple Stories "I Am" collection, the soft pastels and rose gold foil accents all complement your photos beautifully. Whether Creating for yourself or as a gift for a friend or loved one, don't miss it! Saturday, April 14 - Take Me Away: To travel is to discover and Travel Tales is the perfect Simple Stories collection to document your discovery. 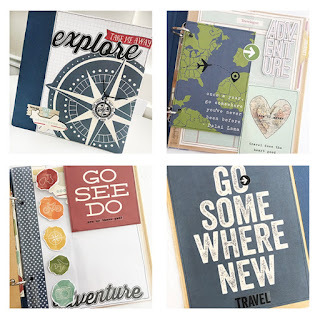 During this Saturday morning class, create a travel-themed 6x8 pocket page album documenting your travels. Whether it's one trip or memories from your favorite adventures, pack your bags, see the world and document your journey! Saturday, April 14 - Join Layle Saturday afternoon to make three 12x12 layouts using Simple Stories' new Crafty Girl collection pictured below. Photos of Layle's class samples will be provided within the next couple of weeks so stay tuned! Sunday, April 15 - The Happiest Place on Earth: Who doesn't love Disney? During this Sunday morning class, you'll scrapbook your favorite memories from "the happiest place on earth!" You're sure to be smiling ear to ear as you create three 12x12 double page spreads using the magical papers and embellishments from the Say Cheese III collection. This is just the ticket for documenting those happy moments with the whole gang, including the 'Big Cheese' himself. 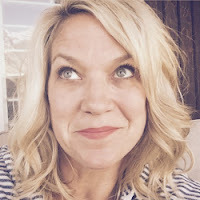 These are sure to be fun times, so jump in, register, and imagine the possibilities! Please note that fees for the above guest-teacher workshops are non-refundable and payment is due in full by March 15. In the event you register and find you cannot attend the workshop, a kit will be available for you to pick up at the store at your convenience. Parking in front and in back of store. DIRECTIONS: Sunrise Highway Exit 38 (Little East Neck Road). Follow signs to Little East Neck Road. Shop is a quarter mile north of Sunrise Hwy.